Need quick, cost-effective, custom 2-sided printed reusable bags fast for your next promotion, trade show, or marketing event? 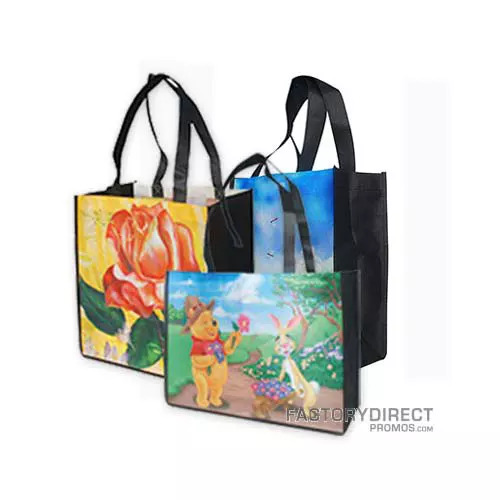 Our non-laminated dye sublimation bags produce a vibrant custom print of your artwork on the front and back panels of these bags. The standard black gussets and handles are made out of 80 GSM PET material. Fast production and low minimums make this a perfect bag.